I saw a statistic recently that my home state of Colorado registered 117,648 new businesses in 2017 – a 7% YOY increase. And that is in a state with just over 5 million residents. 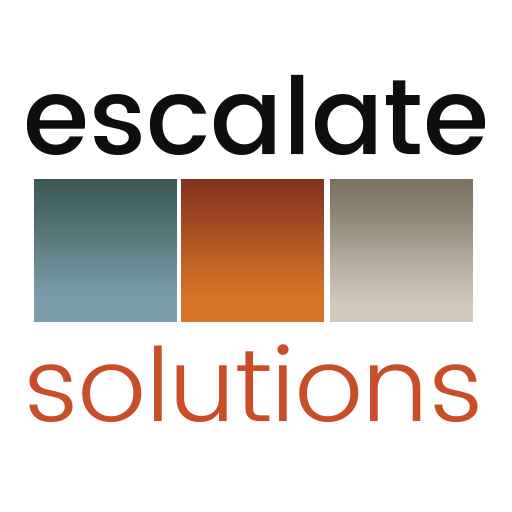 Those numbers reinforced our mission and vision at Escalate Solutions, as we continously work to help organizations make the coveted leap from “growth” to “sustainability”. According to the Small Business Administration (www.sba.gov), there were approximately 30 million small and emerging businesses (defined as having less than 500 employees) in the U.S.at the close of 2017. Notably, only two-thirds of emerging business entities survive beyond the benchmark of 2 years, only half of all businesses survive 5 years, and only one-third will survive the measure of “sustainability” – 10 years of operations. Perhaps of greater significance, various research indicates that 90% of organizations failing due to internal issues such as culture and leadership. If you are among the many business owners or leaders collecting articles on prominent business publications that attempt to summarize 2-3 elements of organizational culture that will help determine your long-term success, I am afraid I may the bearer of more sobering news. The truth is that there are dozens of considerations that entrepreneurs, managers, and members of the c-suite need to prioritize if they want their organization to join the exclusive “10 year survival” segment. The list is lengthy, but can be summarized in the following 13 categories: Purpose, Framework, Reliability, Guidance, Engagement, Permanency, Measures, People, Acknowledgement, Advancement, Evolution, Personalization and Impact. We all know that it isn’t possible to be all things to all people, but as leaders, we still need to recognize that the demands for success are as vast and challenging as ever. The painful reality is that a breach in any significant cultural element can result in the downfall of an organization…or the loss of an irreplaceable employee. Reality dictates that every entity will always have issues to overcome, but that doesn’t mean we shouldn’t still aim for perfection in the areas that matter most to our perpetuity as a business. When it comes to corporate culture, the first step is summarizing the priorities; the second is to implement solutions where there are gaps. You are growing in leaps in bounds. Congratulations. Now your goal is still be in business and growth mode a decade from now. As you embark on your 2018 fiscal year, utilize the following summary from Escalate Solutions to advance your internal discussion regarding corporate culture. Share the link with your colleagues, division/department heads, and launch the critical conversation about what your organization needs to do in the upcoming year to evolve from “growth mode” to a “long-term, sustainable business”. This entry was posted in C-Suite, CEO, CMO, COO, CSO, CTO, Culture, Entrepreneurship, Growth Strategy, Kimberly Arnold, Mission, Small Business, Uncategorized, Value Proposition, Values, Vision. Bookmark the permalink.